To improve baby's three-dimensional imagination, color cognitive ability and stimulate the baby's curiosity. 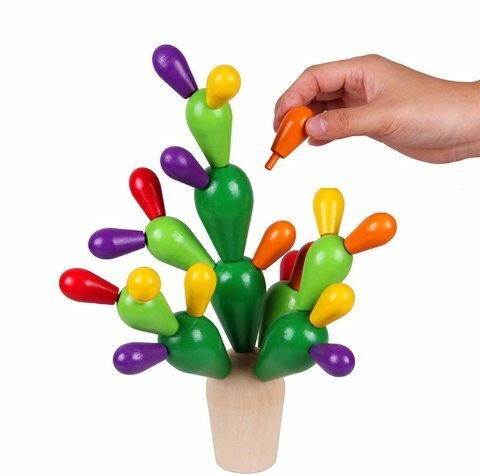 Accessories: Cactus base 1, three different sizes of cactus 28, respectively, green, light green, red, purple, orange, yellow and other six colors. It is well known by children, adults and old people for its clever design, exquisite design, exquisite design, delicate processing and harmlessness. It is made of natural wood and environmental protection paint. If you have any questions about this product by URToys, contact us by completing and submitting the form below. If you are looking for a specif part number, please include it with your message.